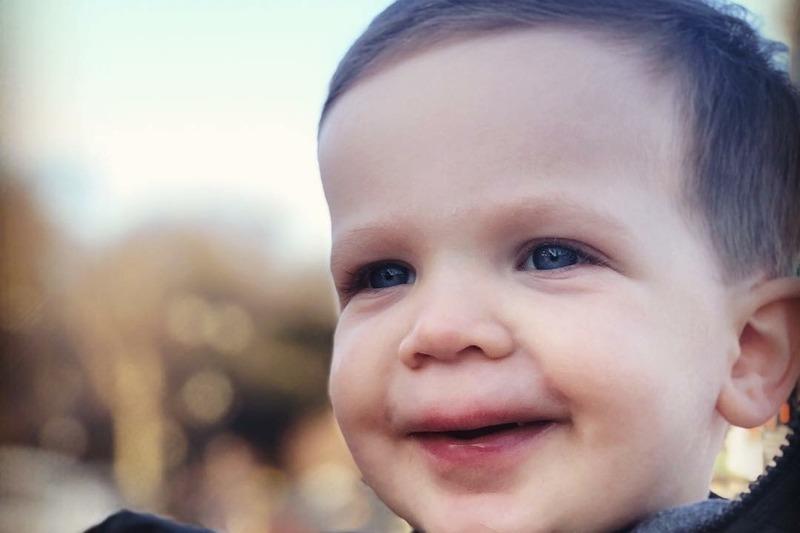 'Our happy and seemingly healthy son Cole was just diagnosed with Stage 4 Neuroblastoma. It is a fast moving cancer that is in a form of a tumor near a kidney and it's already moved away to take on more space. This came as a complete shock to us since he showed no significant signs of being sick. After investigating a stiff neck, something didn't "sit right" with our amazing pediatrician and she ordered blood-work. Follow up blood work in the Hackensack ER turned from just anemia to a small mass on his kidney to a CT Scan that showed a much bigger problem. Every corner we have turned has been devastating. 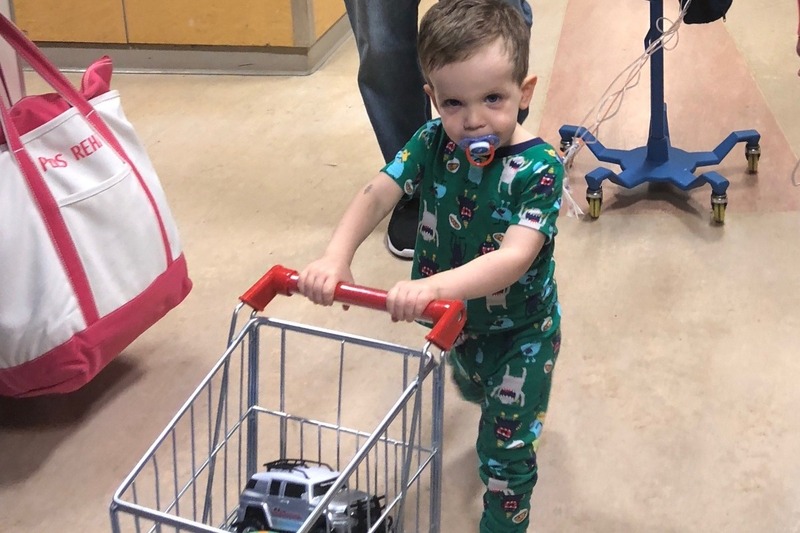 We are currently residents of the Pediatric Oncology Department at Hackensack University Medical Center and are being treated by a very very large team of Doctors, NPs, Nurses, Techs, and more specialists than you can imagine. It'a a great team and great hospital and we are confident that we are in very good hands. It's going to be a long year or more. What we need from you is thoughts and prayers. Don't feel sorry for us. Feel positive and optimistic that Cole makes it through this with as little difficulty as possible. It is time to rally for our loved ones. 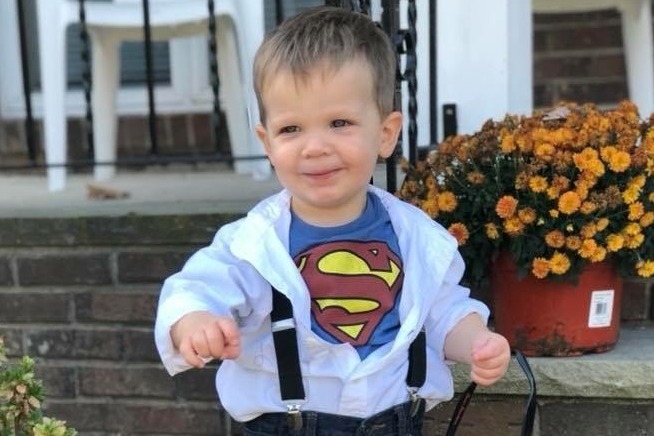 With the support of their family and friends, Kevin’s colleagues from the Ridgewood Police Department, and Stephanie’s colleagues from the Bullock School in Montclair (CHB), Steph and Kevin will be able to spend the time they need with Cole and not worry about much else. 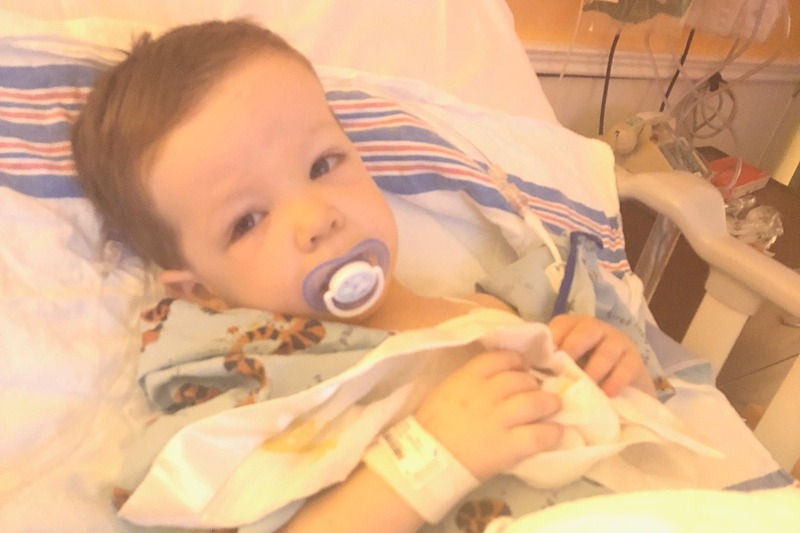 We are dedicating this page to fund everyday expenses for Cole's treatment in addition to ongoing medical costs. 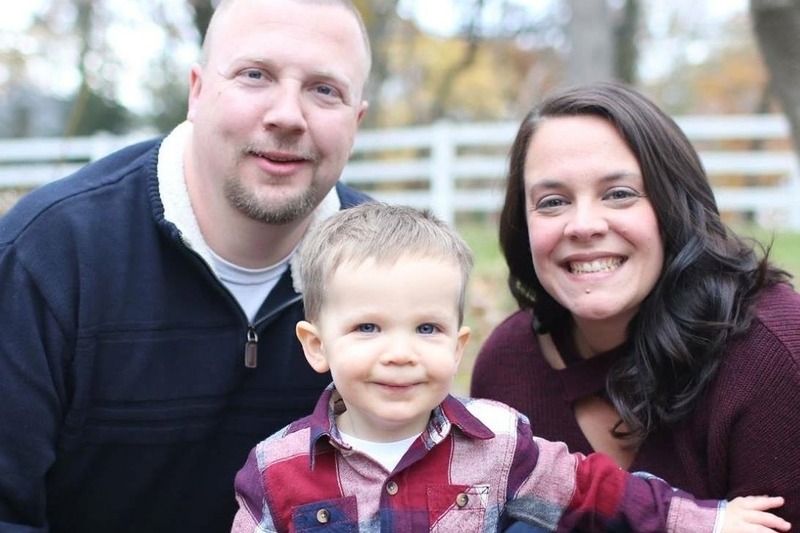 We are grateful for each contribution, as this page is not solely intended for financial reasons, but can also serve as a platform to show support for Cole, Stephanie and Kevin. As I said in my last update, this round was a different set of drugs that cause extreme nausea during and after chemo. We were lucky enough that Cole only threw up twice. Once when we got home from the hospital ( I think it may have been motion sickness from moms poor driving) and again after taking oral meds that mom gave, so I paid her back with puke all over her at the hospital. It was an uncomfortable 5 days for Cole. He barely ate or drank anything, so he was sent home with a backpack of fluids that is attached to a port. Constipation was also a tough thing to tackle this round (sorry for the TMI) but once again this kid came out on the other end smiling and playing and being silly. I got the chance to go see my amazing friends (well family) at my school Friday while Kev took Cole in for an appointment (it seems Kev always gets the lucky days when they are at Sloan an hour or two compared to my 7 hour days. Lucky I guess). Anyway, I smiled on the way driving there, I smiled and got so excited walking in the doors that I walked into hundreds of times, and I absolutely loved seeing all their faces. like a teacher, and I haven’t been doing that and won’t be for a while. I feel like that part of my brain hasn’t been activated in a while. I sat through a whole staff meeting with a smile on my face realizing how much I miss it. Kev still gets to be police officer McKeon. I don’t get to be 1st grade teacher Mrs. McKeon and that’s a tough pill to swallow however, my new job of taking care of Cole is way more rewarding. 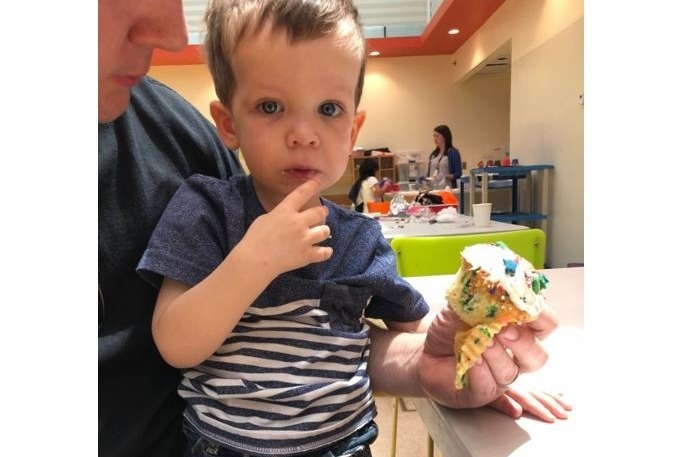 We continue to be on track with Cole's treatment. June 28th is a stem cell collection, July 2nd a CT scan to see what we are dealing with and surgery around July 9th. I went out to dinner with my good friend Kim. It was so nice to talk about other things other than Cole's cancer. To all friends and family, don’t ever feel like you can’t talk about something else other than cancer with us. We are the same ole Steph and Kev you knew before Cole's diagnosis. We love any conversation that distracts us for a bit. Keep the prayers coming, Cole continues to take on these challenges and always comes out a happy boy. It seems the chemo is doing its job. Killing the bad cells but hurting the good. 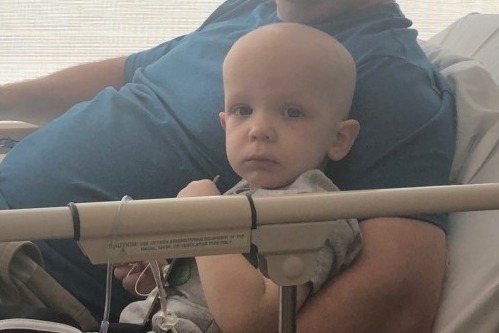 Due to Cole's blood counts dropping (which is guaranteed) he needed a blood transfusion on Monday and Friday to raise red, white and platelet counts. Tuesday and Wednesday we had to travel over an hour each way for a shot that took all of ten minutes. Not only does Cole have to go through all this, but he spent 3-4 hours in the car almost daily this week. The doctors gave us the OK to get the shots sent to our house so we don’t have to travel in. Well, our prescription plan said it wasn’t, “medically necessary." I thought I was going to have to put Kev in the hospital for high blood pressure because I’ve never seen him so angry (except at Bob's Furniture when they never showed up). Thankfully the people and doctors at Sloan spent hours on the phone and got it approved. A friend who is a pediatric nurse has been coming by to give him those shots at home (these shots help boost white blood cell counts). Over all his attitude is still positive. He has periods of playing and periods of being tired and irritable. He’s lost some weight, but had some really great days at home. We went to Teterboro and watched the planes take off and land while eating lunch together in the truck. It was a tough day for me. I’m having a hard time adjusting to our new normal. All I wanted was to be home after 5 hours at the hospital. We then spent almost two hours in traffic. I know there is no possible way I can be strong ALL of the time. I totally allow myself to be annoyed, upset and angry and tomorrow will be a new day. The cards, the texts, the donations keep coming and believe it or not they give our family the strength we need knowing so many people support us. Updating you all is therapeutic for me, and I know so many of you have been thinking of us, so it’s only right you know what is going on. Just spent the night at the Ronald McDonald House. It will be our mission to raise funds for this place. I needed shampoo and conditioner, they brought me family size bottles. They provide food, beautiful hotel like rooms, activities for adults and kids and smiles every single day. As I sit on a bench in busy nyc right now, everything has been put into perspective. I’ve noticed the kind people. The lady at Walgreens that helped me find something, the man who volunteers almost everyday, the nurses who cry with me. 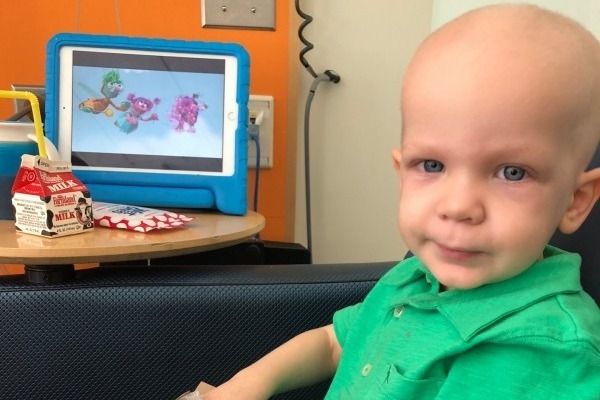 Cole had a great first day of chemo (weird thing to say I know). Seems he was on a chemo high. He was chatting up a storm, playing in the playroom and enjoying life. I know everyday won’t be like today. The doctors have told us the side effects that will come. But if this kid has the attitude that he showed us today, we are in a great starting place. Thank you again to everyone has reached out with suggestions, times they are available to do things and people that work in the medical field that are willing to help in anyway. Yes, this road is going to be so hard and so long, but in those times of sadness, I’m going to tell myself exactly what Kev said. Cole had a smile on his face today, it was a good day.